Let us turn to Revelation 19:7b today. It says, “The marriage of the Lamb is come, and the Bride hath made herself ready.” Now, the question is, when is the marriage going to take place? Brethren, have you ever thought of it, as to what stage in our relationship with God, is the marriage of the Lamb going to take place? Have you ever thought of that? Thought for today: If you know that the earth will soon be on fire, what manner of people are you to be? In order to be filled with the “divine nature,” we must be overshadowed by the divine. The effigy of the two cherubim on the Mercy Seat in the Tabernacle of Moses is a type of the divine overshadowing. The Song of Solomon speaks of the love between Christ and the church, and the final act of planting the seed of life within the soul, the womb of the church. This is God’s divine order of bringing forth life. Since the heavens are of old, and the earth is already founded, we can only conclude from this scripture that it speaks of the heaven, or abiding place of God within the soul of man, and the earth, to mean the physical man which as the scripture says, will be made immortal. The covering here is one of protection, an overshadowing that does not only change man’s nature, but protects him while the change is being made. This idea is carried out by the scripture as shown below. “And it shall come to pass, while my glory passeth by, that I will put thee in a cleft of the rock and will cover thee with my hand while I pass by.” Exodus 33:22. It is absolutely amazing that God had to cover Moses to protect him from Himself. In simple terms, the power of radiation of God was too much for Moses’ eyes, so God simply hid him in a rock. The overshadowing always brings protection along with the main purpose for which God gives it. “Be merciful unto me, O God, be merciful unto me: for my soul trusteth in thee; yea, in the shadow of thy wings will I make my refuge, until these calamities be overpast.” Psalm 57:1. “For thou hast been a strength to the poor, a strength to the needy in his distress, a refuge from the storm, a shadow from the heat, when the blast of the terrible ones is as a storm against the wall.” Isaiah 25:4. Here again, we see the double purpose of overshadowing. Not only is it a place of hiding, but in this scripture, it created strength to the poor. “And, behold, I am with thee, and will keep thee in all places whither thou goest, and will bring thee again into this land; for I will not leave thee, until I have done that which I have spoken to thee of.” Genesis 28:15. With every age, there is an overshadowing, and this must come forth within those overshadowed by the will of God for their time. We, therefore, in this time have an overshadowing, and this is the greatest of all the overshadowings of the past. They were only a type of that which God is bringing forth within us for our time and for all mankind. Thought for today: We, therefore, in this time have an overshadowing, and this is the greatest of all the overshadowings of the past. 1) DIVINE ORDER is absent in the rule of our church government. Not Theocratic Rule as was God’s intention, but Democratic, Autocratic, Despotic, Plutocratic and even Totalitarian in some widespread instances. EVERYTHING OUTSIDE OF Divine Order is DISORDER, and the worst kind of disorder is an orderly disorder. Disorder which is deliberate and ordered is, in effect, a rebellion. This is exactly how God looks at it. “I have nourished and brought up children, and they have rebelled against me.” Isaiah 1:2. 2) The church system presents God to the world as a God that is slack concerning His promises, and one that is unable to rule His own household, by presenting themselves as His ambassadors while living in every type of sin in which the ungodly participate. 3) In doctrine they say that God is too good to judge and condemn sin, robbing themselves of the knowledge of their own judgment. 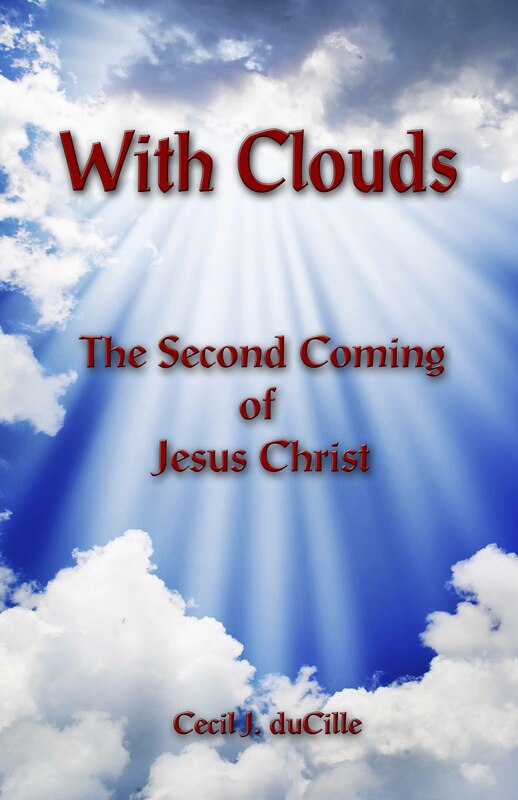 This doctrine says that God is going to contaminate heaven with a lot of unwilling, self-willed, rebellious and sinful people who hate God and all His works. In doctrine, they distort heaven, making it a faraway dwelling place of spirits, yet with streets of natural gold and walls of natural jasper, upon some carnal, physical, faraway planet. They distort hell, making it nothing but a myth in one rendition, and in another they make it a hole in the ground, in spite of the hint given by the Word of God, “bottomless pit” (Revelation 9:2). A pit without a bottom is not a pit at all. That in itself shows that it is not a natural pit, since every natural pit, to be a pit, must have a bottom. 4) Finally, under the name of God, the churches occupy the most popular corners of every city, and under the guise of charitable organizations, transact business, buying and selling, usurping and lobbying for laws to be passed in all the legislatures of the world to facilitate their pursuit of power. Because of these and more, it is very evident in our time that the church system is at its lowest ebb, while some of the people of God are rising to their highest. The logical conclusion is that somewhere in the near future, there must be a breakaway of the true Christian from the false church. Thought for today: Everything outside of divine order is disorder. We are at present at the end of the age of the Laodicean church which is described in Revelation 3:15 as being “neither cold nor hot,” but “rich, increased with goods and having need of nothing.” This means that all the seven churches with all their rebellion have come together in one church. This is the picture of a church well settled in the world, being the richest institution on the face of the earth, and wielding political and economic power of great proportions. Spiritually, she is inept and sick unto death with divisions and sin. The doctor would say her condition is incurable. The modern church system has slipped into a quagmire of preaching one thing, and finding it totally impossible to practice its own preachings from the Bible. Thus something more like the generation gap exists, ever widening, between her and her Bible. Something has to give. Therefore the Church, instead of giving way to the Bible, has been trying to bend the Bible to the Church. By 1991, many of the churches had changed their hymnals to suit the trends of the time. Some have printed a new Bible which puts God in the feminine, and now we see the “overspreading of abominations” (Daniel 9:27) in the holy place. This alerts us that there will soon be the desolations and then the consummation of which this passage speaks. The difficulty is like dealing with a pernicious disease, for the Bible was never written for carnal men and CARNAL INTERPRETATION. To remedy this ailment, every major religion has either done it herself, or embraced a translation of the Bible which appears to support her position doctrinally. In spite of this, the Bible as a whole condemns these organizations of man. Men who lack godliness institute doctrine to bind their adherents. Thus in this late hour of time, we find an influx of translations, with some passages being made clearer, and at the same time, other passages being made darker, increasing the confusion. It is alleged that even the Communists made a Bible translation. One POPULAR TRANSLATION changes all the figures in the Bible, bringing them to their English equivalent, thus destroying all their SYMBOLIC meanings. For instance, 12,000 furlongs translated to 1,500 miles destroys the symbolism of 12 with three zeros behind it to a meaningless figure. Not only this error, but others of a far-reaching nature such as errors of making a passage clearer according to the writer’s natural scope of understanding, when there is a spiritual understanding beyond the scope of the writer. Because of the number of men who translated and cross-checked the King James Version of the Bible, it does not carry any slant of any special doctrine for any particular group, whereas most of the other translations do carry such a slant. Thought for today: Remember: The Church is to give way to the Bible and not bend the Bible to the Church. When you look in Leviticus 14:10-13, you will see that there was a “he lamb” offering made. But the next offering that was made was the “ewe (she) lamb.” The scripture would never refer to Jesus as a “she” lamb, so what God is saying is that He has a Church that is going to be walking in His footsteps, and walking in His precepts, a Church that will lay down their lives to bring in the harvest of God. This is what the ewe lamb is. But then, He said that there is another “he lamb” to be offered in the evening, and that lamb is all the lambs put together. Let me take you to Revelation 12 where the woman brings forth the manchild. Revelation 12:1, And there appeared a great wonder in heaven; a woman clothed with the sun, and the moon under her feet, and upon her head a crown of twelve stars: 2 And she being with child cried, travailing in birth, and pained to be delivered. 3 And there appeared another wonder in heaven; and behold a great red dragon, having seven heads and ten horns, and seven crowns upon his heads. 4 And his tail drew the third part of the stars of heaven, and did cast them to the earth: and the dragon stood before the woman which was ready to be delivered, for to devour her child as soon as it was born. 5 And she brought forth a man child, who was to rule all nations with a rod of iron: and her child was caught up unto God, and to his throne. We are talking about a Church – a Church standing on a Church, pregnant with a Church, bringing forth a Church. And that is the LAST CHURCH, which is no longer a “she” Church. It is a “HE” Church. But then, why did “HE” change from a woman to a man? Because the Church is now having the power in Himself. When you see the men in Christ, the men in God just like Jesus Christ Himself, then you know that Christ is part of that Church. So Jesus Christ is bringing forth a Church that will be filled with CHRIST. The brethren said to Him, “Lord, teach us to pray” (Luke 11:1b). “Teach us to pray; we don’t know how to pray; teach us to pray.” He said unto them, “When you pray, say, ‘Our Father which art in Heaven, Hallowed be Thy name.’ And then you say, ‘Thy kingdom come. Thy will be done, IN ME as in Heaven.’” “In earth,” He says. IN EARTH, but we don’t expect it just to be in the dirt outside there. It must be in the HIGHEST EARTH, when man is filled with the power of God, and with the fullness of God, and Christ is reigning! Sometimes I hear you singing, “Thy throne, O God, is forever,” and I am smiling. You don’t know what you are saying. The throne of God will be in your heart. He said, “You will be the throne of God, the temple of the living God, and I will create an everlasting temple.” If the temple is everlasting, then He can give you everlasting promises. So if we understand the Word of God – it is just one Word and right through and through we can see the Word of God bringing forth life everywhere. Thought for today: Jesus Christ is bringing forth a Church that will be filled with CHRIST.